With the announcement of Fallout 76, fans are scrambling for clues that will shed light on the new game. A few concrete details come from the pre-existing information on Vault 76. Most vaults in Fallout were built for a specific purpose, and according to references in Fallout 3, Vault 76 supposedly held 500 people for exactly 20 years before opening and repopulating the surface. Repopulation is important and all, but is this the most interesting route for a new Fallout? 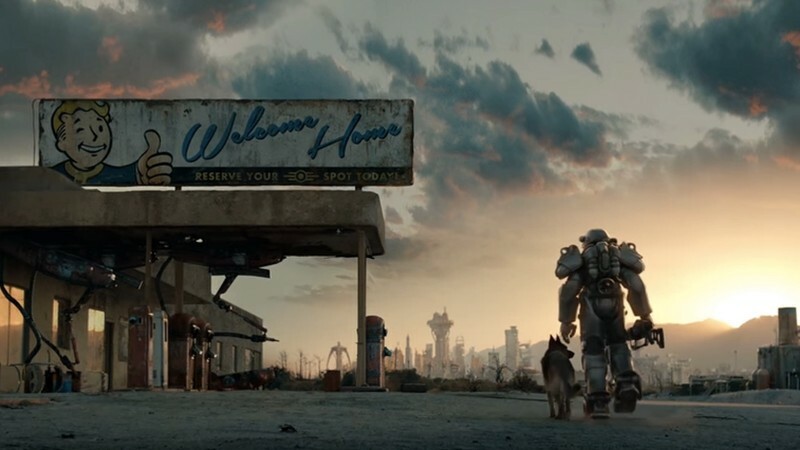 Playing a wastelander on a noble quest is something we’ve already done several times, but a game built around the events of a specific vault is an intriguing proposition. We delve into canon Fallout lore to reveal a bounty of bizarre and disturbing scenarios, any of which could make for an excellent spinoff. Vault-Tec, the company who built the shelters spread across America, is a notoriously unethical corporation in the Fallout universe. In collaboration with the U.S. Government, Vault-Tec built most of its vaults around “social experiments,” testing the effects of isolation and other variables in the tightly controlled underground communities. Vault 12 is one of the most twisted of these experiments. Foregoing the very purpose of a fallout shelter, Vault-Tec intentionally left the door unsealed. Awash in deadly radiation, the survivors of Vault 12 were permanently transformed by Vault-Tec’s negligence. Ghouls are familiar to anyone who’s played a Fallout game. Zombie-like in appearance, their rotting flesh is a product of exposure to massive amounts of radiation. Despite this, they’re often surprisingly empathetic characters, with thoughtful dialogue and a depth of experience taken from their horrifying life experiences. 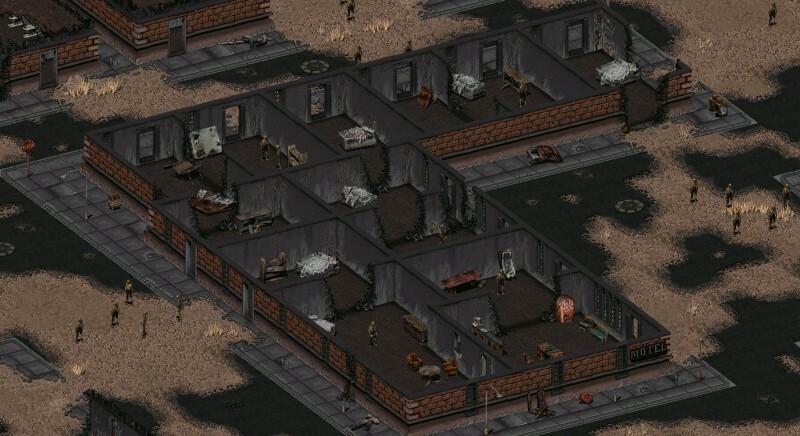 One of the biggest hubs of ghouls is Necropolis, a city players may run across in the original Fallout. The massive population stems from, you guessed it, the residents of Vault 12. Here’s the pitch: Survival horror on a community scale. Players try to maintain life as a resident in the vault while people get sick and decay. You decide who gets Rad-X and who has to bear the brunt of the radiation then manage the dividing populations as people turn to ghouls and lose sympathy for their fellow residents. Imagine a combination of some of the haunted vaults in Fallout 3 and the oppressive wartime decisions of This War of Mine and you’ve got Fallout: Vault 12. This, for a whole game. One criticism of Bethesda’s Fallout games was the removal of the ability to kill children. Although sadistic, the complaint had two main pillars. Firstly, Fallout 1 and 2 had the ability; it benefited the player in no way and made virtually every NPC in the game hostile, but it was technically possible. Secondly, kids in the Fallout games have been historically ... very annoying. Enter Vault 29, population: children. Another perversion of an experiment by Vault-Tec, no one over the age of 15 was allowed into the shelter. The only confirmed survivor, a mutant named Harold, emerged from the vault in 2090 and would go on to become one of the wasteland’s most influential residents. Here’s the pitch: A dark, violent version of Richard Linklater’s Boyhood. Harold entered the vault at age five and experiences his entire adolescence in the underground tunnels, so players would experience his life one year at a time. The early years would be chaos, both from the initial panic of being without adults, but also because we’d experience them as a kindergartner. As time wears on, we’d mature and start to learn about the political structure of the vault. I’m picturing Battle School from Ender’s Game with multiple factions with different leaders and styles, all led by charismatic children. Like Ender’s Game, this game would still have truly bleak themes and conflict without resorting to kids toting firearms. As Harold, we’d come to understand the dynamic of the different factions, and fight to become a part of the most influential groups. This, but ya know. Radioactive. Twenty Men. Ten Women. One Panther. That’s the idea for Vault 43, a shelter that really calls into question Vault-Tec’s understanding of the word “experiment.” Nothing is known about the outcome of this vault, and that might be for the best. Here’s the pitch: Asymmetrical multiplayer. The men and women work together to try and build a society that’s democratic, charitable, and most importantly, panther-proof. Meanwhile, the panther is slinking in and out of the shadows, testing the defenses and eating anyone who strays too far from the beaten path. The game’s pace could play out similarly to Evolve. In the early rounds, the panther is weak but the residents don’t have access to many resources. As time goes on, the men and women can fortify doors and board up air vents, but they won’t be able to stop the panther from accessing more radioactivity than Dr. Manhattan. Sure, the humans have numbers on their side, but how many people is enough to stop a radioactive, mutant panther? This, but it breaks. A lot. Intended to test the inhabitants’ resilience to everyday inconveniences, appliances in Vault 53 were designed to break every few months. With 1000 residents, this meant a near-constant stream of necessary repairs to maintain basic living conditions. One can only imagine the psychological toll of living inside deliberately faulty infrastructure, especially when that infrastructure is absolutely necessary to keep out the devastation on the surface. Here’s the pitch: A smaller and more intimate take on Fallout, styled after indie titles like Papers, Please. Each day would bring new items to repair and new pressures to consider. For instance, the vault’s quartermaster needs his air circulator fixed. You have the skills to do this, but your family also needs more nutrients than daily rations allow. Do you repair the unit and hope that your good faith sways him, or refuse to give his unit back until he delivers the needed food? Repairs would gradually get more complex, and the needs in the vault would grow more dire. As more systems in the shelter failed, there’d be no way to satisfy everyone. Vault 53 demands you make sacrifices; where those sacrifices come from is up to you. Vault 69 begs the question: was anyone at Vault-Tec ever a scientist? The vault had the standard thousand residents, but only one of those residents was a man. Less the product of principled hypotheses and more that of a giggling middle schooler, Vault 69 has virtually no available information. This, but not a dog. A puppet. 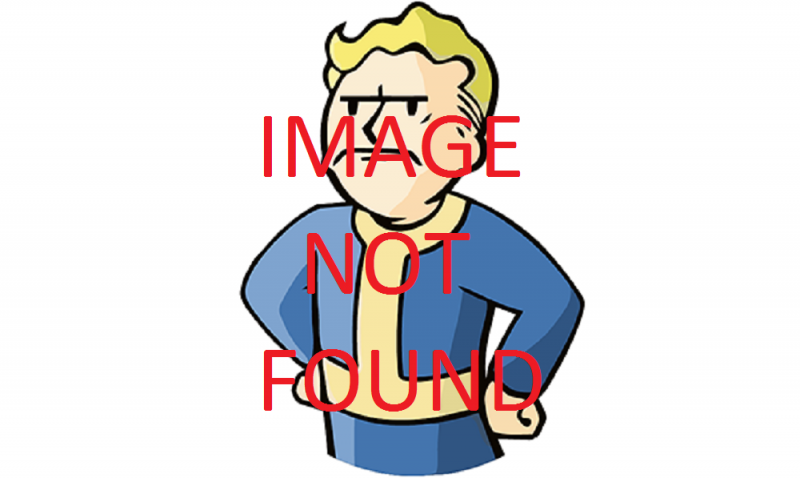 Although we don’t have the name of the sole resident of Vault 77, we do have a significant amount of information on his circumstances. Locked into the shelter alone, it took more than a year for him to open the crate marked “Government Issue: Puppet Ration.” Once he did, he swiftly descended into a delusional and codependent relationship with the inanimate objects. After developing an intimate bond with one in particular (a puppet sporting a Vault-Tec jumpsuit similar to his own), the man eventually left the vault. Accompanied by the puppet and a tamed giant ant named “Mr. Pinch,” his expedition into the wasteland was an unwilling miasma of violence and death, led by the whims of his puppet. Here’s the pitch: Styled after A Way Out, this linear adventure would be a mandatory co-op experience. I’ll get this out of the way now; yes, the player assigned to the puppet would have to spend the first hour or so in a box. It’s important to the characters’ motivations. Once the two players are united however, it would largely be the puppet’s show. The puppet could tell the human character where to walk, which quests to take, who to kill. Although the human may have locomotion, the puppet ironically holds all the power. Fallout is a series that embraces both the devastation and the absurdity of post-apocalyptic life. It’d be great to see Bethesda to keep experimenting with the style of games in its unique universe. Just, for the love of god, stay away from Vault 69. We recently went over the little we know about Fallout 76, and prior to that discussed the lessons someone should (and shouldn't) take from Fallout. 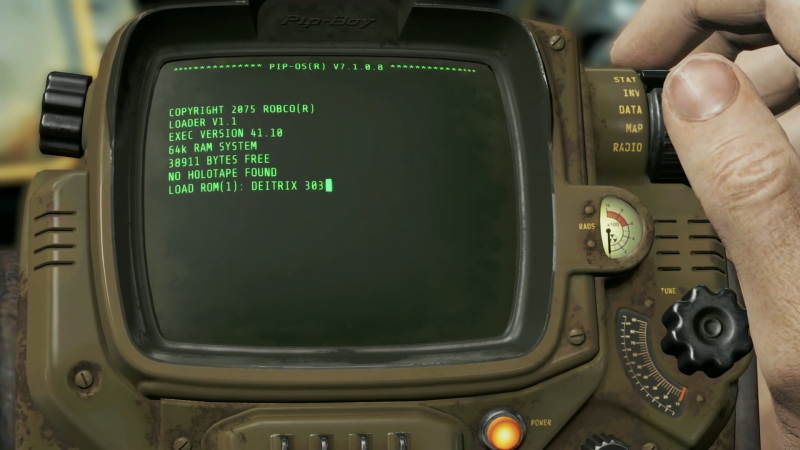 For a more serious take, check out our exhaustive history on the making of Fallout 4.